MIAMI--(BUSINESS WIRE)--Baptist Health South Florida and Leon Medical Centers Health Plans (Leon Medical Centers) today announced that they have established an agreement for the 2019 Medicare benefit year, reflecting their shared commitment to provide more choices for South Florida residents enrolled in Medicare. This agreement will provide patients with greater and more convenient access to the quality healthcare services they need. Through this newly formed relationship, South Florida residents enrolled in Leon Medical Centers Health Plans, a Medicare Advantage plan, will in 2019 have in-network access to care through many of Baptist Health’s Miami-Dade County facilities and physicians including Baptist Hospital, Doctors Hospital, South Miami Hospital, West Kendall Baptist Hospital and Miami Cardiac & Vascular Institute. Through this agreement, Baptist Health South Florida and Leon Medical Centers Health Plans/Leon Medical Centers will work closely to improve clinical outcomes and strengthen channels for care coordination for the benefit of our patients. Both organizations are affiliated with Florida International University’s Herbert Wertheim College of Medicine, which will also strengthen our ability to advance clinical research and support the development of primary care physicians with specialization in geriatric medicine. Baptist Health South Florida is the largest healthcare organization in the region, with 10 hospitals, more than 40 physician practices, 50 outpatient and urgent care facilities, Baptist Health Medical Group, Baptist Health Quality Network and internationally renowned centers of excellence spanning across Monroe, Miami-Dade, Broward and Palm Beach counties. A not-for-profit organization supported by philanthropy and committed to our faith-based charitable mission of medical excellence, Baptist Health has more than 19,500 employees and more than 3,000 affiliated physicians. Baptist Health South Florida has been recognized by Fortune as one of the 100 Best Companies to Work For in America and by Ethisphere as one of the World’s Most Ethical Companies. For more information, visit BaptistHealth.net/newsroom and connect with us on Facebook at facebook.com/BaptistHealthSF and on Twitter and Instagram @BaptistHealthSF. 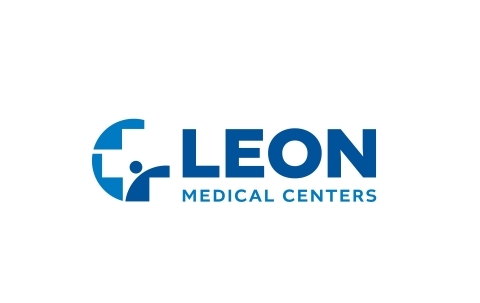 Leon Medical Centers, founded in 1996 in South Florida, counts with more than 2,500 dedicated healthcare professionals who are committed to improving the lives of more than 40,000 Medicare recipients through an exclusive provider affiliation with Leon Medical Centers Health Plans. Members have access to seven state-of-the-art medical centers, six healthy living centers, the support of an exclusive home healthcare and durable medical equipment affiliate, as well as a network of Leon Hospital Service Center locations in the most prominent South Florida Hospitals. Leon Medical Centers Health Plans, Inc. Is a Cigna-HealthSpring company (NYSE: CI) with a Medicare Advantage contract. For more information, visit LMCHealthPlans.com and LeonMedicalCenters.com and connect with us on Facebook at Facebook.com/LeonMedicalCenters and on Twitter @LeonMedical.